If you own a business, especially a large one, it is likely that you will encounter a forensic accountant at some point. A forensic accountant is one who specializes in performing audits and investigating financial misdoing. Forensic accountants create records and ledgers that settle disputes in court. They combine investigation with litigation support to unravel the financial aspects of a business and can testify as expert witnesses in court. The word forensic calls to mind investigations, evidence and a bit of cloak-and-dagger action. The field of forensic accounting includes all these areas. Companies typically bring in a forensic accountant if they expect they may be a part of a dispute or litigation. Some companies, such as insurance companies, also employ forensic accountants as members of their staff. Forensic accountants review available business records, ledgers and other data to reconstruct events related to losses, breach of contract, disagreements or business valuations. Their findings are then admissible in court as evidence and forensic accountants often testify in court as expert witnesses. Most forensic accountants are Certified Public Accountants who have additional training or education in forensic accounting. Although most executives think that a forensic accountant's main purpose is to dig up a serious crime, many businesses can benefit from the skills and services of this kind of accountant. Any suspicion of employee fraud can be a reason to employ a forensic accountant. This expert can help you gather the evidence needed to charge an employee that is committing fraud. You might also employ a forensic accountant if you are considering buying or selling a business. 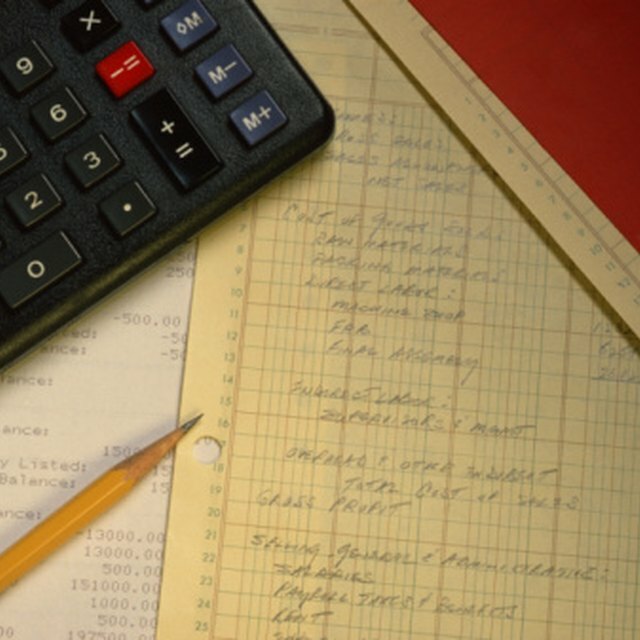 The accountant's skill at examining accounts and records can help establish an accurate valuation for a business. Lawyers sometimes employ forensic accountants to obtain estimates of losses or damages related to a case. Anytime the law and money cross paths, a forensic accountant can help to support the people and businesses involved. Being aware of fraud and avoiding it is in everyone’s best interest – individuals and businesses. The best way to avoid fraud is to remember that if an investment sounds too good to be true, it is. Any investment promising consistently high returns is suspect. If you have reason to suspect an employee may be stealing products, colluding with other employees to commit fraud or falsifying bookkeeping or other records, investigate further because it may be fraud. Educate yourself and ensure your employees follow the guidelines and regulations that apply in your field. Keep sensitive and confidential information safe by limiting the number of people who have access to it. Always change passwords or authorization codes when employees move on to other companies. Use password managers or other security systems to make sure that digital data stays safe from online predators. Following these guidelines will help to make sure that you and your business stay safe and legal. Stacy Zogheib's writing has been published in various online publications. She is a teacher and developmental specialist with experience teaching first grade, special education and working with children ages 0 to 3. She has a Bachelor of Arts in elementary and special education from Wittenberg University in Springfield, Ohio and a Master's degree in Early Childhood Education from Northern Arizona University.